Originally painted in an orange livery with a white stripe, the TGV Sud-Est established the model that would become the basis for other TGV trains. The bogie rides between two carriages, which lowers the centre of gravity and prevents anyone on the train from having to sit above the wheels – a great advantage for passenger comfort. The Sud-Est trains were refurbished in 2000 and the fleet was divided into two new classes of vehicle. Rénov 1 trains comprise three first-class carriages and were made available with a different interior for the TGV Lyria fleet. Rénov 2 trains, meanwhile, comprise two first-class carriages. They will soon benefit from another refurbishment: this time to modernise the interior fittings in line with growing customer expectations. 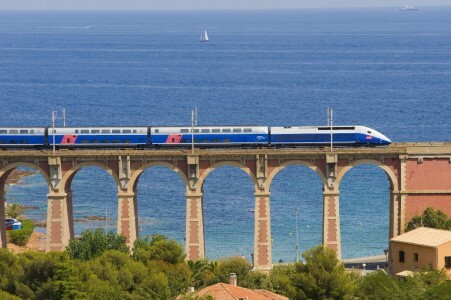 Created at a time when the TGV Sud-Est train had been in operation for five years, the design of the TGV Atlantique benefitted from a wealth of experience and represented an important milestone in the evolution of high-speed trains. 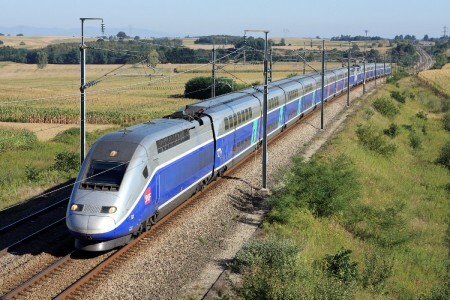 It is the first TGV train that was designed to travel at 300 km/h. Accordingly, it has a more powerful braking system and the pantographs are adapted for faster journey speeds. Furthermore, the cab signalling was developed at the same time as the IT systems that are installed on the train. 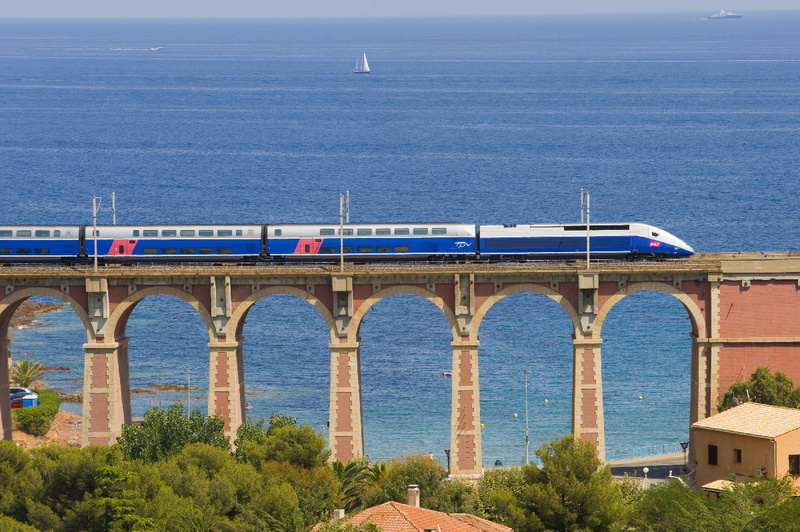 The Atlantique train is longer than the domestic fleet, with ten carriages instead of eight. The interior of the first-class carriages was also developed during creation and features semi-private compartments with four seats known as ‘club 4’. The external paintwork was designed as an expression of high speed and became the familiar livery in grey and blue that we know today. Refurbishment of the Atlantique fleet began in 2005 using designs by Lacroix. These vehicles were derived from the Atlantique train. They were named ‘Réseau’ – French for ‘network’ – because they are intended to serve the entire high-speed rail network. For this reason, they exist in both dual-current (known as POS and DOM) and tri-current versions. Tri-current trains are able to travel in Belgium and Italy as well as France. They have been specially designed to pass through tunnels using airtight technology to prevent air pressure changes in the carriages, thus ensuring increased passenger comfort. With just eight carriages, these trains differ in their composition. Refurbishment of the Réseau fleet began in 2005 using designs by Lacroix. 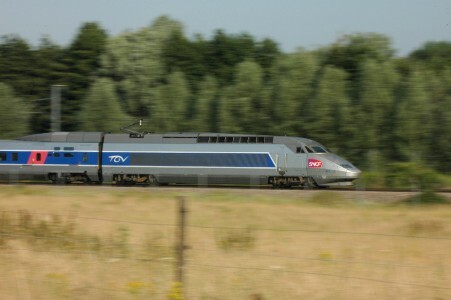 The TGV Duplex is the only double-decker train that can operate at very high speeds. It was conceived as a practical solution to the problem of transporting more passengers without creating trains longer than station platforms. Carriages, electric devices, bogies and seats made from aluminium to reduce overall vehicle weight. A new way to travel: quiet zones in the lower deck and an upper deck that can be accessed by stairs provide an enjoyable journey for everyone. DAYSE trains are Duplex units fitted with a new traction chain and equipped with the European Rail Traffic Management System (ERTMS), a standard information system for drivers. These features give the vehicles their name, which is an acronym of the French ‘Duplex Asynchrone Ertms’. Commercial operation of these trains began in February 2008. They have a pleasant, new interior that guarantees a high level of passenger comfort and creates a bright, spacious atmosphere on board the train. It is not easy to recognise them because from the outside they look identical to Duplex trains. However, the number on the front of the train is in the 700 series.